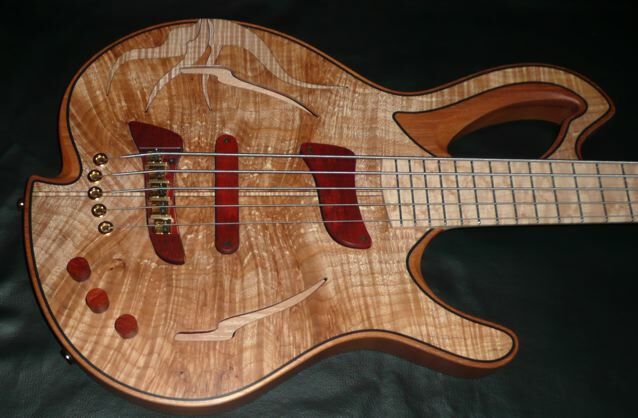 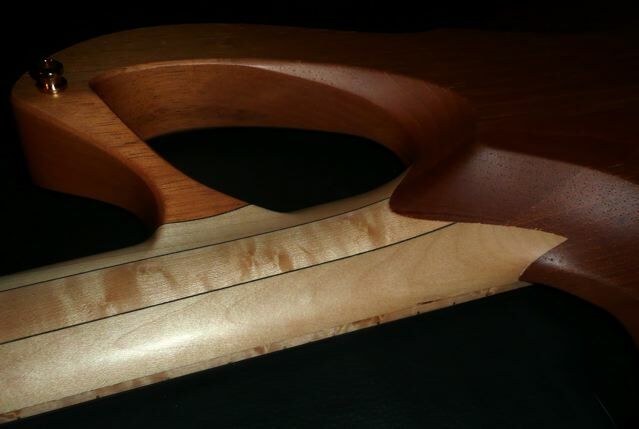 This is the latest version of the Barcelona bass , now a set neck 33″ design. 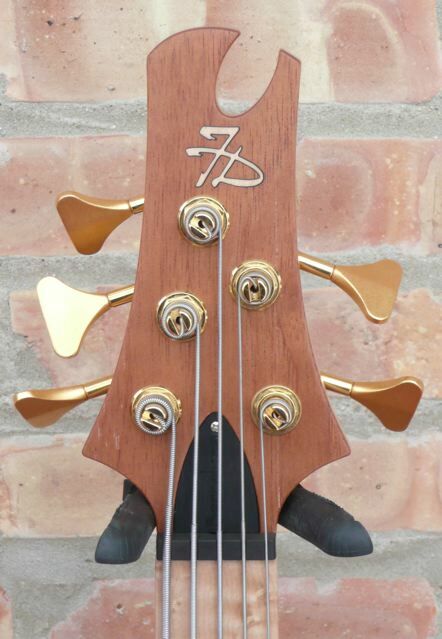 I have seen a good number of basses over the years – the Barcelona stands out as a truly unique bass. 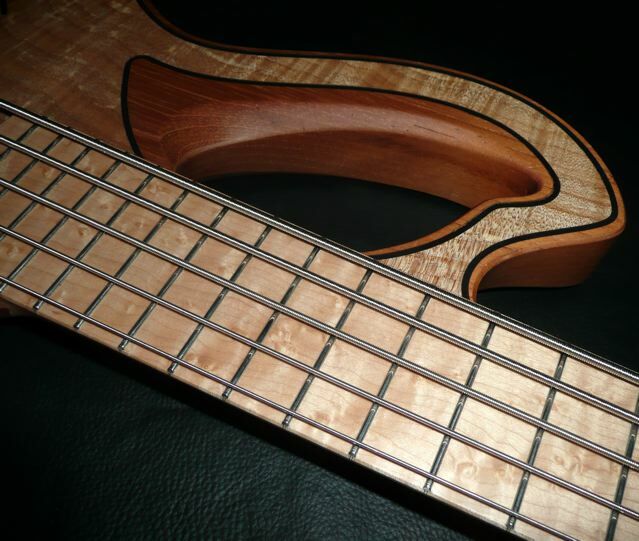 Quick attack with a woody, unprocessed pure tone. 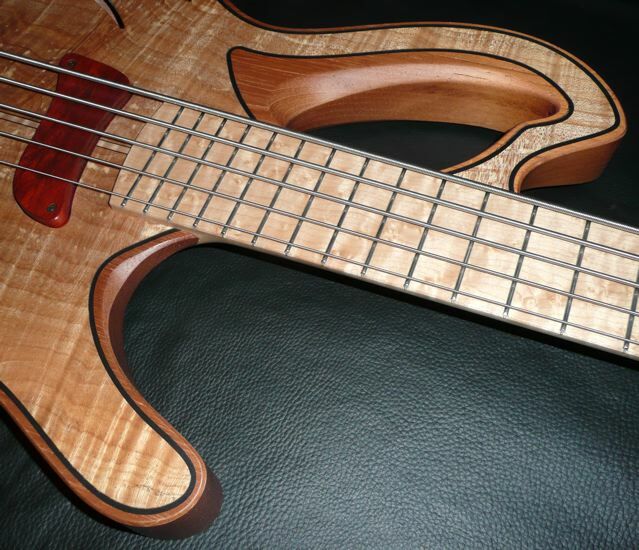 The low B is strong and balanced with the other strings. 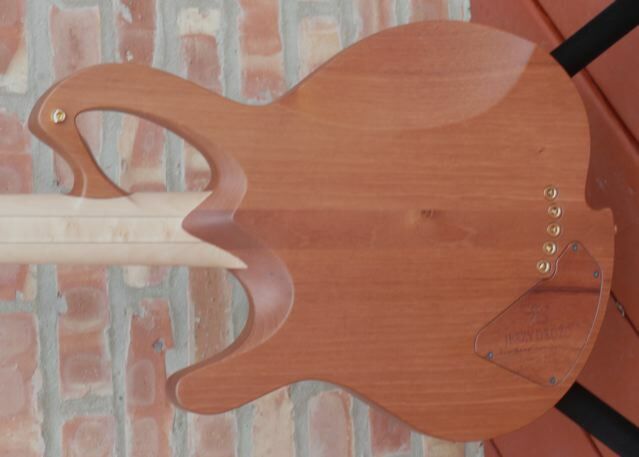 Solo the bridge pickup for a Jaco like quick attack, solo the neck pickup for a robust bottom end. Mix the two for a wide variety of tones you may not have heard before. 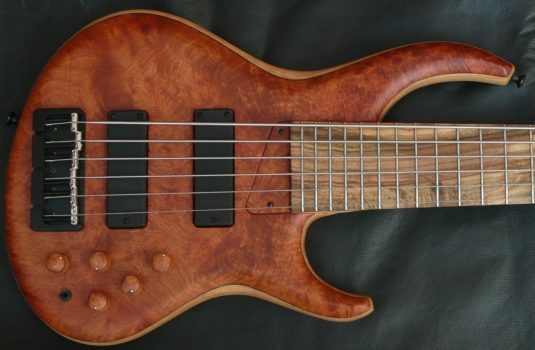 Volume, Volume, Tone – all passive. 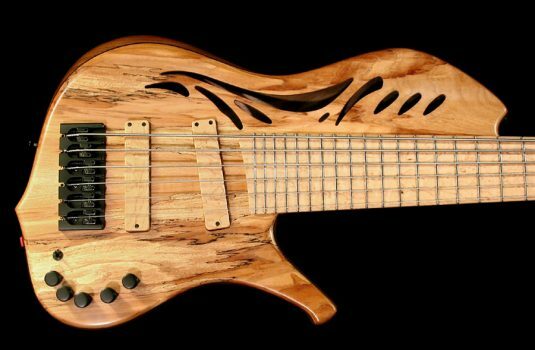 I generally hate to say any bass is right or wrong for any style of music – I have seen too many exceptions to many of the rules. 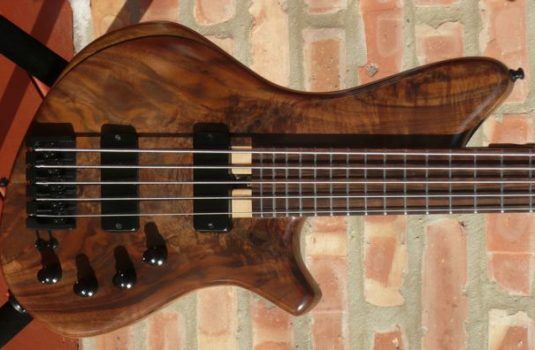 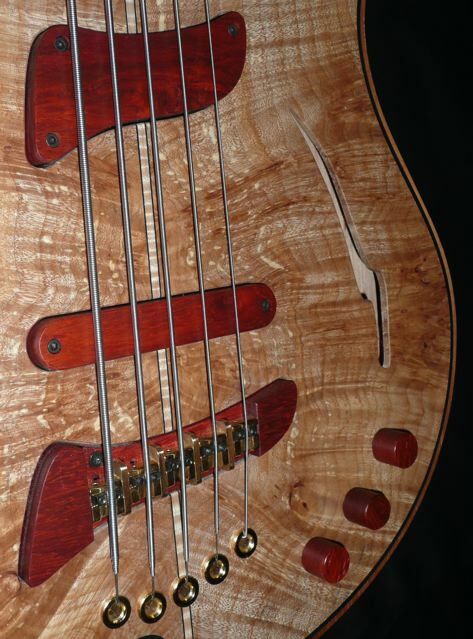 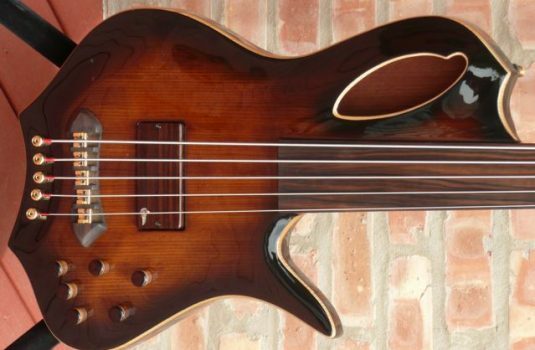 I will say that this bass would be great for Jazz and Latin style of music – a great finger style bass.